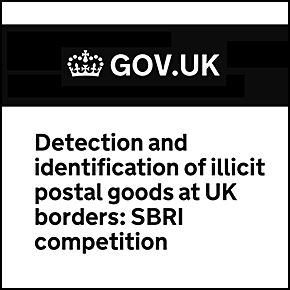 The Home Office and Border Force continually promotes, invests in and deploys innovative detection technologies at the UK border. The overall programme will be delivered in 2 phases. A decision to proceed with phase 2 will depend on the outcomes from phase 1. Only successful applicants from phase 1 will be able to apply to take part in phase 2. There is up to £250,000 of funding available for phase 1. We expect to fund up to 5 projects. There is up to £1 million of funding available for phase 2. We expect to fund up to 2 projects from phase 1.